Claire Kim hates herself and the world she lives in. Working at a mirror store, she shows customers their reflections and daydreams about erasing her own. One night, on her way home, she gets her wish. Follow Claire as she wanders invisibly through the city and her own psyche. 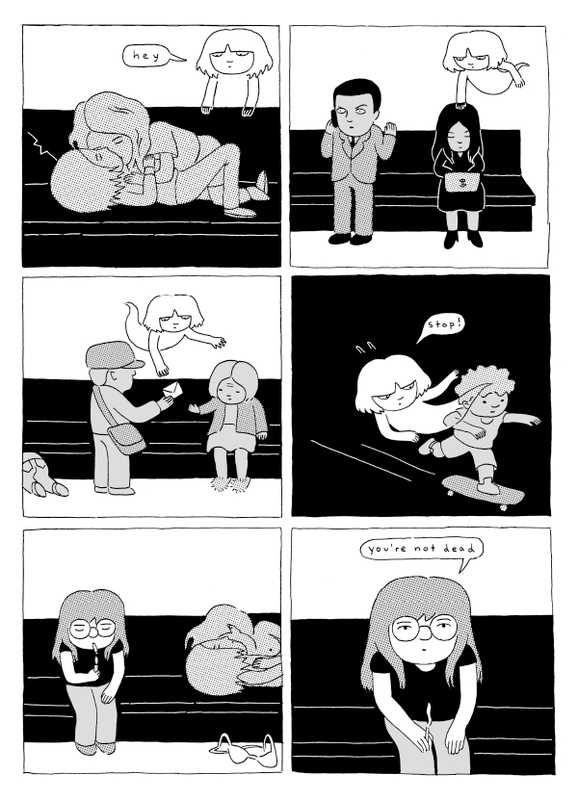 Daryl Seitchik was born in 1989 and currently lives and works in Philadelphia, PA. She is best known for her semi-autobiographical comic series, Missy, which earned her a nomination for the Ignatz Award for Promising New Talent in 2014. She is nocturnal.